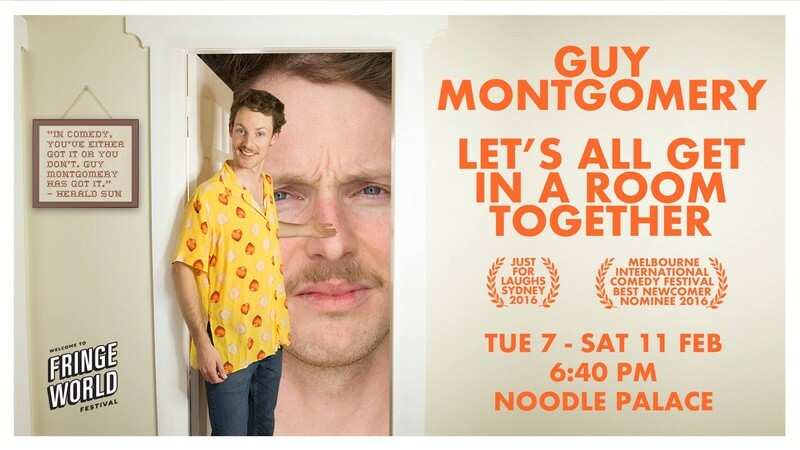 Hot on the heels of appearing at Just For Laughs Sydney '16 and warm on the heels of earning a Best Newcomer Nomination at Melbourne International Comedy Festival 2016; Billy T Award winner Guy Montgomery brings an absurd & exciting new hour of stand-up comedy to the hard working people of New Zealand, in the hopes of getting all of them in a room together* and mercilessly entertaining them. *The room cannot accommodate everyone in New Zealand at once. We will take turns.